Wondering where to find the best diners near you? Hoodline crunched the numbers to find the top-rated affordable diners in Philadelphia, using both Yelp data and our own secret sauce to produce a ranked list of the best spots to satisfy your cravings. Topping the list is Cedar Park Cafe. 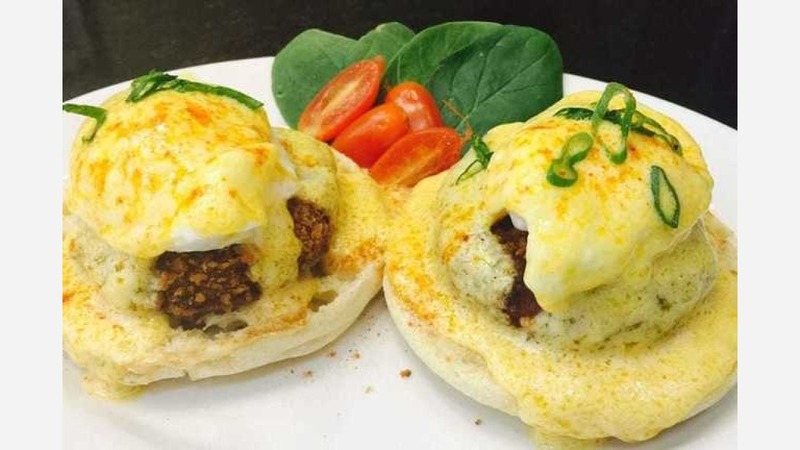 Located at 4914 Baltimore Ave., the breakfast and brunch spot is the highest rated inexpensive diner in Philadelphia, boasting four stars out of 247 reviews on Yelp. The local favorite is known for its generous portions and friendly, attentive service. 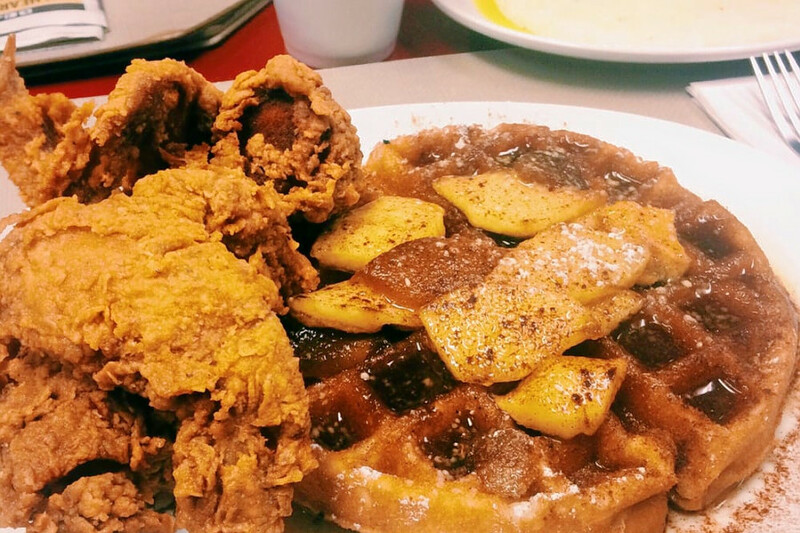 Standouts include the perfectly crispy chicken and waffles served with a side of sweet chili sauce and the breakfast platters. Weekend mornings can get busy, but Yelp reviewers insist it's worth the wait. Next up is Old Kensington's Dew Inn, situated at 501 W. Girard Ave. (at Fifth St.). With 4.5 stars out of 49 reviews on Yelp, the diner has proven to be popular with those looking for a cheap option. Open 6 a.m.-2:30 p.m. seven days a week, the old-school diner serves up turkey, pork ,or beef scrapple with home fries and toast or grits. Yelp reviewers are fans of the affordable prices, hefty portions, and unpretentious atmosphere. 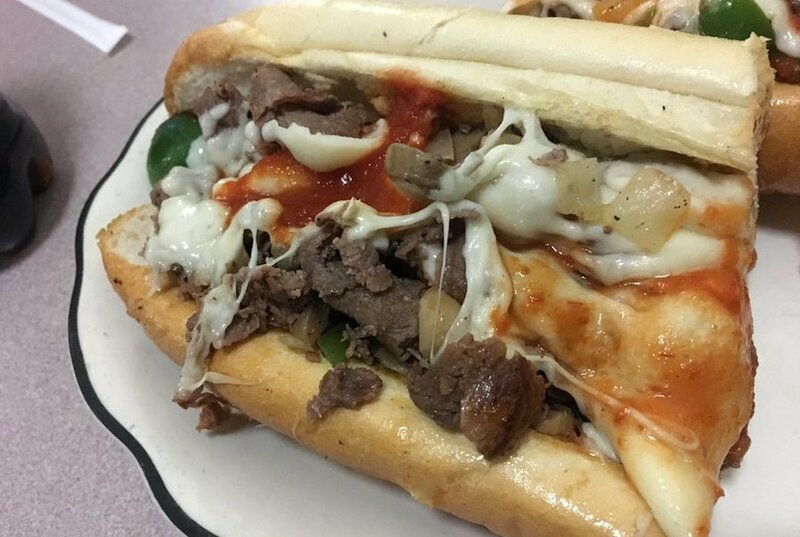 Mantua's Texas Wiener, located at 3963 Lancaster Ave. on the city's west side, is another top choice, with Yelpers giving the inexpensive diner 4.5 stars out of 30 reviews. Faithful customers keep making return trips to the tiny establishment, with the diner especially popular with the takeout crowd. Texas Wiener has all the American breakfast mainstays including a pork roll platter, fruit-stuffed pancakes and blueberry and corn muffins. 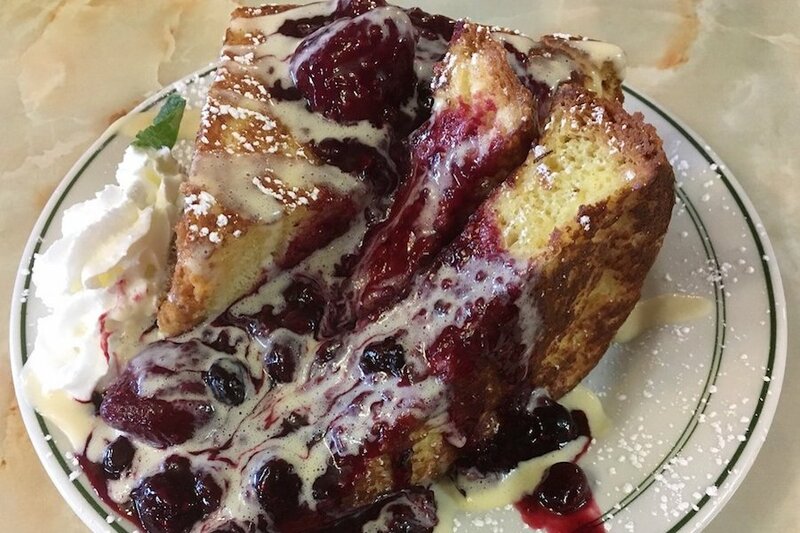 Champs Diner, a diner serving breakfast and brunch in North Central Philly, is another affordable go-to, with four stars out of 74 Yelp reviews. Head over to 1539 Cecil B Moore Ave. (at 16th St.) to check out the cozy spot for yourself. 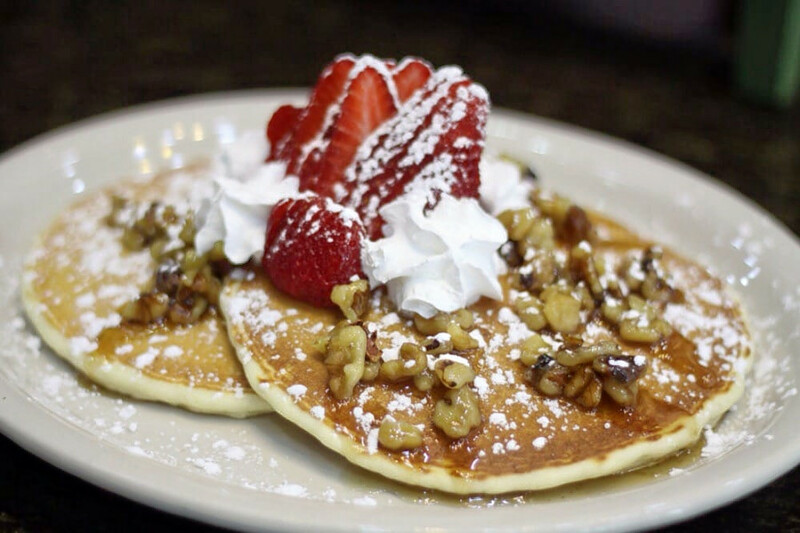 The diner offers a diverse menu, featuring lox and crab Benedict with home fries, cheese grits, a Philly steak omelet, triple-berry French toast, Oreo waffles, and a cranberry walnut sandwich. Dine at a table or take a seat on the bar stools along the back counter. Over in Fishtown, check out Sulimay's Restaurant, a retro diner that has earned four stars out of 56 reviews on Yelp. 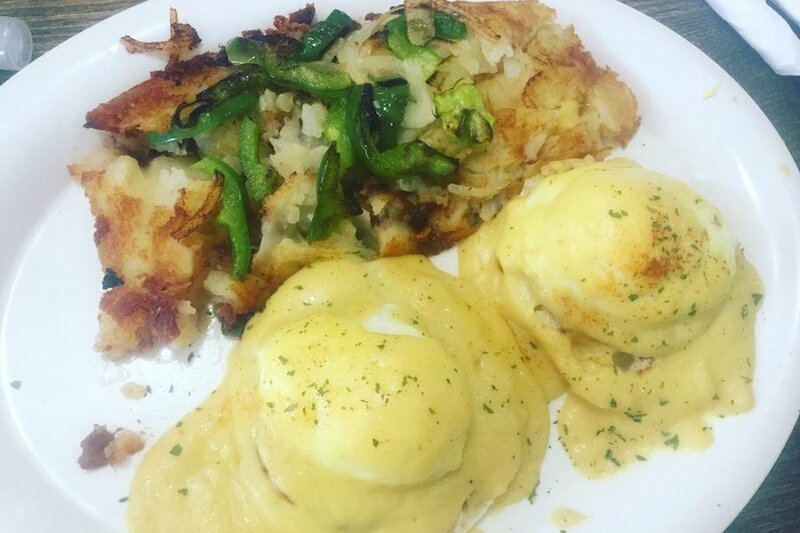 Dig in at the breakfast and brunch spot by heading over to 632 E. Girard Ave. 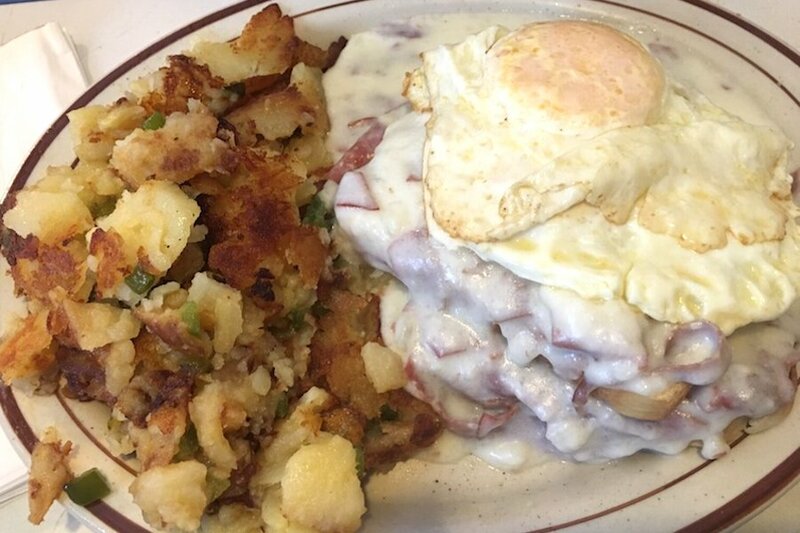 Opened in 2002, the neighborhood gem with mid-century decor offers diner classics like chipped beef on toast, scrapple, and buttermilk biscuits and gravy. Try the egg sandwich on challah or Pig Heaven, an omelet made with scrapple, fried onions, and Cooper Sharp cheese. And then there's Tony's Deli, a Rittenhouse favorite with four stars out of 28 reviews. Stop by 17 S. 21st St. to hit up this diner with a vintage feel next time you're looking to satisfy your cravings on a budget. There's nothing flashy here, just affordable diner fare with all of the breakfast basics. For lunch, look for a lengthy list of hoagies, salads, burgers, triple-decker club sandwiches, homemade soups, and hot wings.